As Linux keeps growing as a viable desktop solution, the chances that you’re willing to try out Linux yourself is continually increasing. When you finally decide to take the plunge and have a stroll through Linux Avenue, you’ll need to be able to decide which distribution (or in short, distro) out of the thousands that are out there is right for you. Making the right choice is an important step, because it can help make your experience much more enjoyable. Just imagine if you tried out a distro that wasn’t meant for you? Before we move on to what each distro is all about, you need to figure out what you need for yourself. What do you really want in your operating system? Ease of use? The ability to tweak every minute detail of your system? Technologies that pop up in other distros by the time you’ve used them for a long time? Make sure you know exactly what you want, as it’ll make the selection process a whole lot easier. Ubuntu sometimes appears as the new face of Linux. Instead of seeing Tux, the Linux mascot, you sometimes see Ubuntu logos. Ubuntu has quickly become a popular choice among desktop users, and I must say that my first true experience with Linux was with Ubuntu. 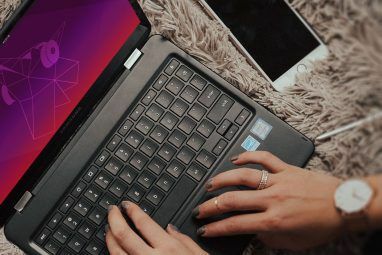 Every distro has a different goal, and Ubuntu’s is simple: make Linux as easy as possible for users. This includes taking away features like a root user, and adding style, one-click install buttons, and a large package repository. If you’re not tech-savvy, this is a great way to get started. Fedora is another popular choice among many desktop users. It is different from Ubuntu, however, because it gives a clean desktop to work on while giving the user more control over the system. It retains features such as a root user, and has a more descriptive package manager. In other words, you need to know a little bit more about how Linux works and how packages combine together and become installed in order to successfully use Fedora. If you paid attention to what’s going on in other Linux distros, you shouldn’t have a problem with this. Also, Fedora’s strict open-source policy prevents you from installing proprietary software or drivers without a little bit of work. Again, if you learned a thing or two, this shouldn’t be a problem. openSUSE is along the bottom of the most-popular choices for desktop users. However, it still has plenty of support to be a well-formed distro. Its goal isn’t to be noob-friendly nor be restricted to open-source software by default, but instead to create its own workspace. By default it uses a different desktop environment in addition to its own multi-purpose package manager. If you’re a beginner looking for a distro, this one may be more similar to Fedora than Ubuntu in terms of being “challenging.” It’s an interesting project nonetheless and definitely worth checking out. 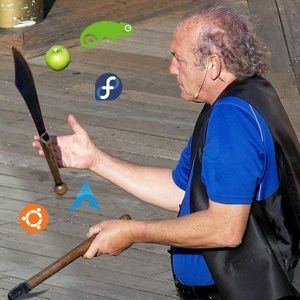 I may have described Fedora and openSUSE as slightly challenging, but I was exaggerating. Arch Linux has a completely different setup and is meant for a completely different group of enthusiasts. Arch has always been intended for those who know a thing or nine about Linux. The idea of this distro is that the kernel and base packages are given to you, and you install this system. When that’s done, you boot into the system and start installing everything from scratch: your display manager, your desktop environment, your browser, your drivers, and everything else that you need or want. In fact, there is no true “default” in Arch, so the screenshot presented is just an example of what you can do. Benefits to doing things this way is that you know exactly what is installed on your computer, because you installed it and nobody else. It also keeps things as minimal and efficient on system resources as you want. It’s definitely not something for beginners, but it’s a great learning tool while building a very usable system. In the end, the choice of Linux distros is always up to you, and no one is “better” than the other. Such statements have always been an opinion, and with the wide range of distros, making your right choice couldn’t be better. It’s always best to remember who you are, and what the target consumers are for each distro. Making the right decision will save you many headaches in the future. 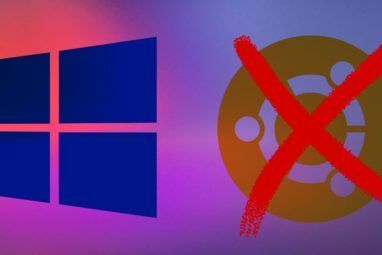 What Linux distro(s) do you use, and why did you make that choice? What aspects made you choose one distro over another? Explore more about: Arch Linux, Fedora, Linux Distro, openSUSE, Ubuntu. Arch is great, although installation is long-winded for new users who just want to get up and going. However, if you don't mind following instructions, it will give you a clean stable system without the addon junk most distros give you. It is the OS for tinkerers -- rather than engineers, which is what Slackware seems to be. Give me package management any day! Despite all this, I'm still an avid Ubuntu user; I'm a tinkerer, but I'm also lazy. Yes Ubuntu is an OS that is ease to install so is Mint, but at list Mint has drivers for video cards. But Ultimate Edition 2.8 or 2.9 have every thing that most people would need, like Ubuntu Tweak, and Ultamatix, backup manager, computer janitor, software for programing & editing. all code for audio, video, flash players for the web, like chromium & Firefox and 28 other Internet Applications. Audio & Video 40 applications, such editing, managing, burning, importing & exporting, most everything that you would need to do now days. Office Productivity 19 applications, graphics 19 applications, wine is already installed, and so so much more. And if you like a LTS version there Ultimate Edition 2.6.1 and a Real lite Version Ultimate Edition 2.8 lite-x86 that works great on old equipment and Net tablets. Compiz fusion & Emerald are installed by default its multi lingual, it has more to offer it is live CD or use UNetbootin to installed on USB stick. There are very few things that most people even need to install after using this OS. But if they need it they can use Synaptic to install any thing that is missing for there choice. Yes Mint those have some of this applications but not all of them. Yes I am distro junky for a few years well 12 years, but UE has most applications people need out of the bat. What about Puppy Linux? Small fast easy to use. Makes it where you can use that old desktop again! For starters, Ubuntu is not just for beginners...it is a very clean, happening distro. I chose Ubuntu because it was easy to use AND I can make it do most anything I wish and it looks fantastic...it is thousands of times more stable then winblows, much safer in terms of hacking and virii infection and much lighter then winblows in terms of resources. Mandriva generally sucked as did Fedora. Open SuSe has it's uses and Arch...well I haven't found a proper use for that distro. In short, Ubuntu has more bang for your buck...and it's free (as it 99% of other distros). If your looking to get up and running fast, be able to do pretty much anything you want on your system, have a system that is 99% out-of-the-box driver-wise, have practically tens of thousands of free programs that work with it, works well with winblows software (if you must) with the use of Wine and want a system with the most up-time I have ever seen...one that is virtually impervious to virii/hacker infection...then Ubuntu is the right choice. KDE 4 has too many issues with networking. I recommend Linux Mint. Ah yes, time for a weekly bestest distro post. Distros hopping is for people who know what theyre doing. Joe Blow needs only to make one decision: WHICH desktop to use. Asking him to look at 3 distros with the same desktop is mindless since lets face it, most distros look the same. Oooh, this distro has a radical wallpaper, or icon or font...is not enought to differentiate. Give a person a GNOME, a KDE and a default XCFE if its old hardware and have THEM decide. But people dont want to do that because everyone is possessive about 'their' distro. I don't like Mint at all. There you go. It might've been useful to point netbook users to lightweight distros as this is a good target market from Linux converts. Personally, I use Crunchbang on my netbook. I left out Mandriva from the list for a couple of reasons. You can scroll up in the comments to find them. As for KDE, I don't directly mention the words KDE, but openSUSE has a "different desktop environment" (KDE) by default, and in Arch you have the choice from the start; there is no default there. YLMF OS! has any one tried this? +1 for Pinguy OS, it's really great. Ubuntu. Still using 10.04LTS I does everything I want. Using it for my computer forensics stuff in class. I'm using PinguyOS (which is based on Ubuntu) on a laptop and it was easy to install and is easy to work with, especially for me working in windows so much. It has a familiar look to folder names and layout. Really polished and runs quick. Mint. So far it's worked perfectly OOB on everything I've tried it on. Very nice article. I'm really glad that many technology websites are paying more attention to Linux! I would replace Ubuntu for Linux Mint as the ultimate Linux experience for beginners. Even though it is based on Ubunutu, it's much more polished, it's still bleading-edge technology and "out of the box" it will give the beginning desktop user a lot more. Slackware Linux is a good opportunity to learn about the Linux operating system. It gives you back a long-lost sense of control and empowerment. No longer will you be at the mercy of graphical set-up wizards and mysterious background demons. The needs to be aware that OpenSUSE is done. No more. Not sure what you are talking about here. I've got 11.4 running on a laptop and it is one of the most modern and polished distros available right now. I have to agree with Snewlon that openSUSE is definitely still alive. Ubuntu is taking a lot of the attention away from a lot of other distros, but openSUSE is still going strong. I've been using Linux Mint for around four months now and am loving it. I've booted into windows (dual boot machine due to switchable graphics) a hand full of times. In fact I was so impressed with what I had control over I did some research and converted my wifes old lappie into a home server running Xubuntu. I am very impressed with Linux and more so with myself for getting into the nitty gritty and learning my way around the terminal. Definitely some people like to dive right in to the messy stuff. I am someone who is not even in the beginner level on linux but want to get in right away. I have installed a distro once back at school but that was just it. In my research i have found Slackware to be that messy distro i am looking for to start with. Ok no really, i was just recommended by this guy - http://is.gd/y1ICIS and thought it was cool cause i was looking for something in the lines of primal. I'm just curious why it didn't make this list if it can be a great learning tool as well? Even though Linux Mint is a derivative of Ubuntu, I would place it on the short list for Windows users moving over. It gives you a choice of desktop environments, from lightweight and fast for older PCs to robust KDE. It also offers the ability to try via live cd or flash drive before you install permanently. That's definitely true. Linux Mint was also on my mind when writing this article, but I chose Ubuntu instead because Mint is still based off of Ubuntu. I'm happy to see these comments because they start very good discussions. It's always great to talk about why some people believe one distro is better than another, because it happens constantly. And with the common 6 month release cycles for the big two distros, things change just as quickly. I like it. :) It's just as exciting as talking about browsers. I don't understand this list. 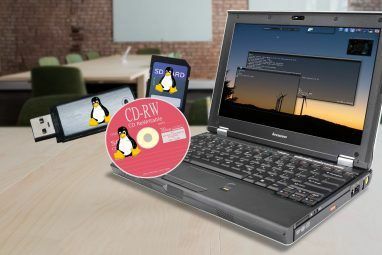 There are three popular user-friendly distributions which comply with the article's title and a very tech-savvy one, Arch Linux. "It’s definitely not something for beginners" - you're absolutely right! Than why would anyone who doesn't know the difference between Ubuntu and OpenSuse want to know about this. Actually, months ago, I was reading a tutorial describing the Arch install process in all it's complexity. And a windows-guy came up with something like: "That's why Linux will never make it! It's too complicated!". Arch Linux does comply with the article's title. I never said that the list was only going to include the most beginner-friendly distros. Plus I also mentioned that Arch was a great learning tool, which is a major point for why I included it. Some people like to dive right in to the messy stuff and figure it out for themselves with the help of some guides. Like I said, there really are a handful (and then some) of distros that are definitely noteworthy enough to be on the list, but I don't want that list to be a mile long. I chose Arch as the "learning" choice simply because there is amazing documentation for it, and the Arch community is rapidly growing because there are a _lot_ of people who like it. I only did not add Mandriva because there's a lot less support for it than there used to be, plus management isn't doing great either. If I added one more, it would have probably been on the list, but for now I left it out. Mandriva is easier to use for Windows users because of their excellent Control Center...expecially when users are used to a Control Panel like in Windows. NOT mentioning it is a HUGE oversight on your part...especially for the reasons you post in your comment.